Top Notch Infotronix, India’s leading supplier of products and accessories for Computers, Consumer Electronics and Communication under the brand ‘ZEBRONICS' has introduced a new Bluetooth headset for use with cell phones, media players, tablets and laptops. Utilizing a proprietary design, Zebronics's headset can be used for either Mono hands-free or high quality stereo sound. The ergonomic design allows the end-user to comfortably wear the headset with the ease of hands-free, wireless portability and weighs less than a conventional ear bud. The lightweight headset is powered by a rechargeable polymer lithium ion battery and features rugged construction to ensure increased reliability, stability and overall lifetime of the accessory. "The innovative design and ability to wirelessly deliver high quality sound in such a small, lightweight package demonstrates the design skill put into every accessory we produce for the computer peripherals marketplace." said Mr. Rajesh Doshi, Director of Top Notch Infotronix India Pvt Ltd.
Providing ultimate mobility, the Zebronics Bluetooth Wireless headset allows people to talk without holding a phone up to their ear or dealing with the hassle of cables. Weighing only 7 grams the ZEB- BH500 is comfortable to wear and includes a secure ear hook. Easy to operate, the headset features volume control and a built-in re-chargeable battery for use of up to 85 hours stand-by, 2.5 hours talk time. Allowing for greater convenience, the wireless device works anywhere up to 10 meters away from a Bluetooth device. The headset is useful for all kinds of mobile phone users, especially those who need to conduct conversations in noisy environments or for long durations, or both. 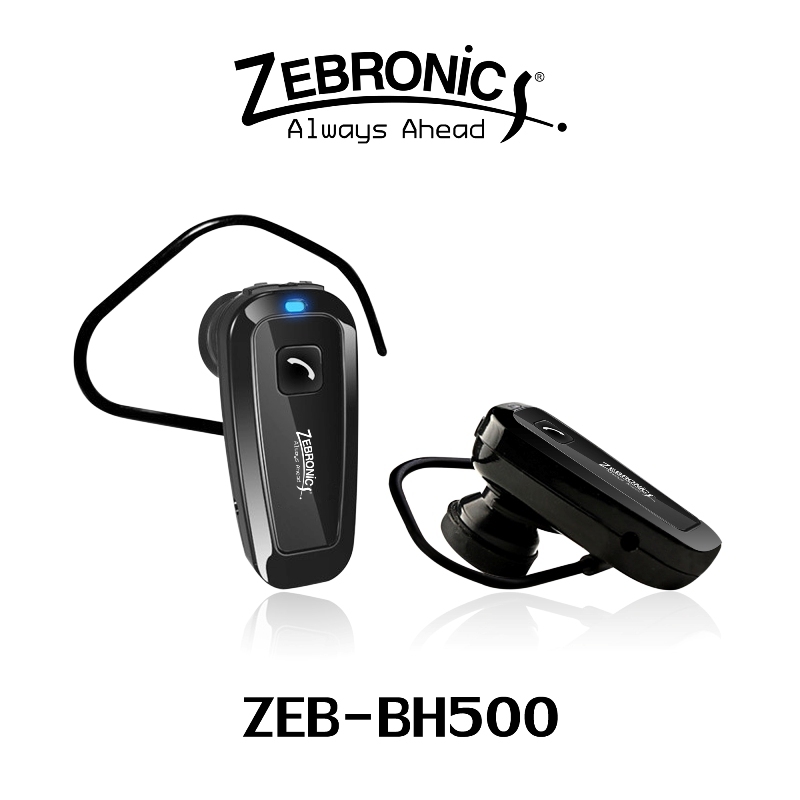 ZEB-BH500 headset allows the user to speak in normal or even low tones and be heard clearly at the other end, while the headset user can also hear conversations clearly without raising sound volumes to uncomfortable levels and avoid ear fatigue. In keeping with the Zebronics mission of introducing products with premium looks and good quality at reasonable prices, the Zebronics The ZEB-BH500 product also includes a USB charging cable, a 1-year warranty and is available at Zebronics’s online sales site - moneyvasool.com and leading IT stores in India at Rs. 449 only.